Career fairs are an important part of the job search. They allow job-seekers to quickly and efficiently introduce themselves to many companies at once. While career fairs can seem like a free-for-all, and much less intimidating than a one-on-one interview, there are still rules and protocol you’ll need to follow to make a positive impression. Read on to find out some of the basics of career fair etiquette. When you go in for a normal interview, it’s definitely expected that you do your research and know why you want to work there. In the case of a career fair, the same thing is expected. Just because you are meeting multiple companies instead of one doesn’t mean you shouldn’t know about them in advance. Generally the list of companies is published in advance of the date of the career fair. Take a look, decide which companies you want to chat with, and then do a little research on each. You probably don’t need to go into as much depth as you would for an interview, but showing up at a company’s table knowing nothing about them won’t make a positive impression. When I’ve gone to career fairs I’ve always been the most impressed with people who showed up and knew exactly what they wanted to get out of their time with me. Knowing what opportunities are available with the company (that you’d also be interested in) is a great way to focus the conversation. 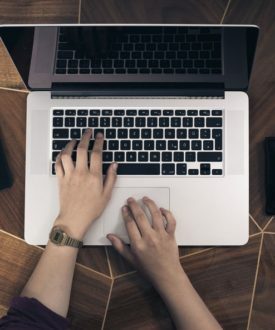 As part of your chat with the company representative you can always say “I saw on your website that you are hiring for X. I’m really interested in roles like that and was wondering the best way to express interest” or something along those lines. A part of career fair etiquette is planning what you are going to say ahead of time, especially when you are introducing yourself. This should be in the form fo some sort of “elevator pitch” (check out this tutorial to create one). The elevator pitch will allow you to concisely say who you are, what you’re interested in, and why you’d be great at it. It’s great to show up at each booth with a plan of what you are going to say versus just walking up and saying “hi”. That sets the conversation up to fail from the beginning because it’s more likely to “fall flat” and not give you the chance to explain why you’re great. Note: You should also have certain materials ready before you go to a career fair such as your resume. Companies are generally looking to collect that resume as they meet you. Stay tuned for a full post on materials to bring to a career fair. One thing that can be slightly awkward about career fairs is that you are generally stepping up to a table or booth but there are a line of people standing behind you waiting to do the same thing. Spend a little time with each company but don’t stand there all day (5 minutes is probably the maximum time). You also need that time to go visit other companies so be sure not to put all of your eggs in one basket. If you are visiting a company’s booth at a career fair, you probably want to follow up with them in some way (to eventually get a job or internship). Ask the company representative their preferred method of follow up. Equally important is knowing who to follow up with. When a company says “just apply online” and won’t offer up a contact, that means they probably don’t necessarily want you to follow up with anyone directly. That’s not ideal but it’s okay. Your goal is to find out what they want and be respectful of that. For those who do offer up contact information, write a thank you note after your meeting with them just as you would if you had an interview. 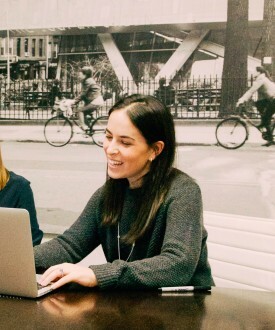 Similar to writing a regular thank you note, make sure it is thoughtful, somewhat customized, and send promptly after the meeting. 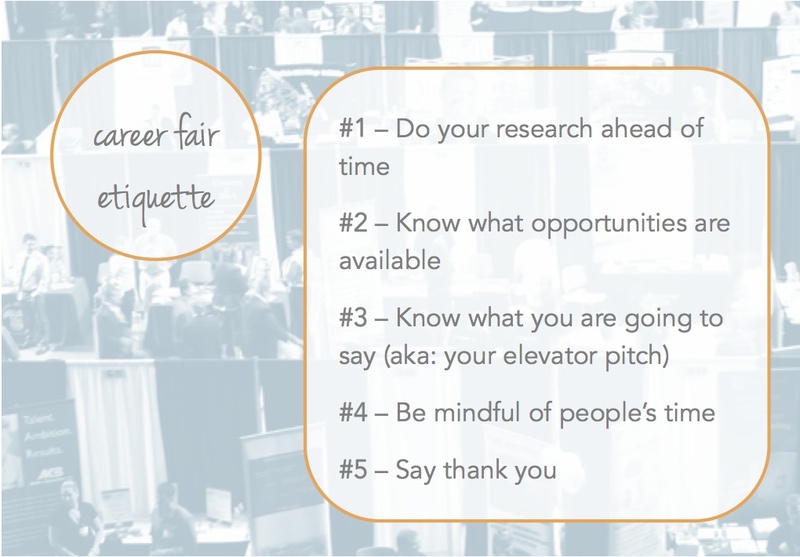 I do think these things are basic career fair etiquette but I also believe that following them will help you get ahead at a career fair. The most people who plan ahead, are incredibly thoughtful, and very prepared are the people that get ahead in the job search overall, not just at a career fair. Good luck!